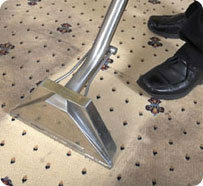 Hello, we are Cleanfootprints Expert Carpet, Upholstery and Rug cleaners covering most of the South West. We come to your home or business and achieve absolutely amazing results and we can even Scotchgard Protect at the same time. Please see our website for further information, Prices and videos. 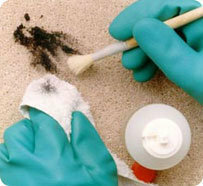 Please always ask exactly how your carpets are cleaned. Cleanfootprints is a premium service and do not give a quick once over then charge a lot more to do the job properly with a better, deeper clean. Mark arrived on time and could not have been more helpful. After his attention, the carpet & rug look great. We were pleased with the price and would happily recommend this company. Our lounge/diner carpet was very heavily stained. We have two dogs one of which has had several accidents. Mark from Clean Footprints arrived very promptly and was very pleasant and so helpful. We were literally amazed with the result. The carpet looks really clean and the stains have all gone. We thought it was excellent value for money and we would certainly recommend Clean Footprints. Mark cleaned my mother's carpets and upholstery today and the service was excellent. I would definitely use them again, polite, efficient and high quality. Mark from Clean Footprints promptly arrived at the time stated and carefully moved our two Sofas ready for cleaning and then placed protective covering on the living room floor. From start to finish his workmanship was faultless and I was really pleased with the results of the deep clean on the two sofas. They were like new! The price was really good and I can highly recommend this company. I certainly will use Clean Footprints in the future. What a difference! Thank you. Had my carpets cleaned again by this firm and impressed and very happy with the quality of the work. My tortoises leave toilet mess all the time and it's all gone. He, (didn't get his name) worked alone and wasn't feeling well but worked very hard and efficiently to get the carpet clean, he did an excellent job and I will use the firm again happily and recommend them very highly. They never let me down. Thank you Clean Footprints. They cleaned my suite. They were tidy and made an excellent job.